David Krut Projects is delighted to present Gail Behrmann’s Journey, an exhibition of paintings, drawings and artist’s books. Though she has participated in several group shows, Journey is Behrmann’s first solo exhibition since 1993. 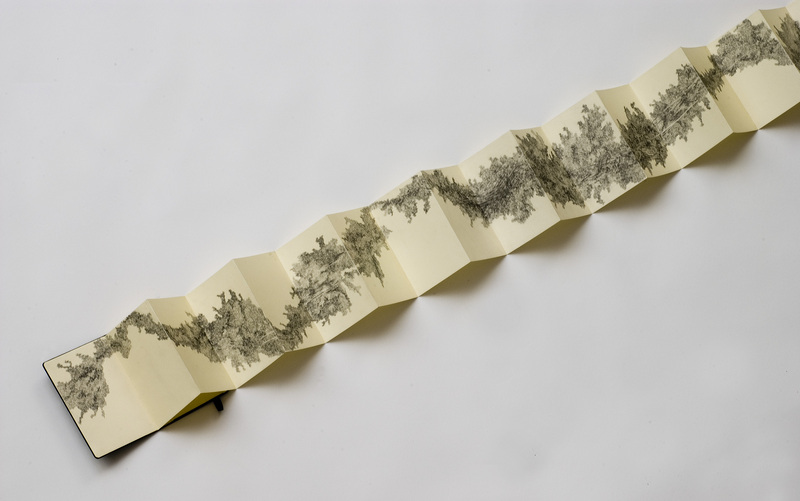 The pencil drawings in the artist’s books, Beyond The River and Into The Trees I, II and III represent a disciplined approach to the exploration of positive and negative space. Gail Behrmann is a painter and filmmaker. She has worked on international feature films, documentaries and museum installations, notably with Angus Gibson on the Apartheid Museum and Liliesleaf Trust. She recently conceived and co-curated, with Emilia Potenza and Christopher Till, an exhibition of Gisele Wulfsohn’s photographs titled Malibongwe. She has also worked on the film archive for William Kentridge’s production of Shostakovich’s opera The Nose.